Spring cleaning is a customary practice in Singapore, to clean up their homes, remove the cluttered items since some time and renovate. While starting to clean your house start from top to down approach – start from the ceiling of the room to cleaning the floors. Start with cleaning one room at a time; collect the cluttering objects (misplaced fancy items, cosmetics, decorative articles) in a basket which you can again place once the cleaning of the room is completed. Dust every corner of the place. Be it office to do list cleaning or home to do list for cleaning, the cleaning process lies the same, all you need to do is allocate some time to start the cleaning. Cleaning all at once can be a bit tedious process but can be done if well-planned and in an organized well. The main cleaning tasks would be in bedroom, living room, kitchen, bathroom and dining room. Make a to-do-list for every room and create a plan of action. Work it out and you will be surprised to see the results. - Cleaning electrical fittings, appliances, etc. · Take down Sheer curtains, drapes and window panels, can send it for cleaning. 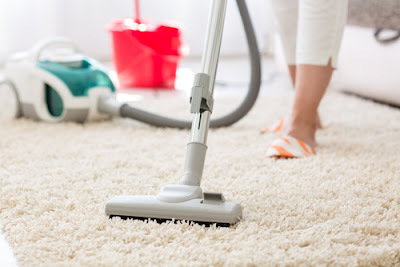 · Dust and vacuum all surfaces - ceiling, baseboards, and furniture, under the carpets. Be careful while dealing with electrical items like chandeliers, lightbulbs, fans, lampshades and indoor wall sconces. · Clean walls with a sponge mop and a diluted cleaning solution. Start doing it from bottom and go to the top, doing the other way round may leave drip marks on the bottom side. · Open your windows wide as ventilators as much as possible. This will allow fresh air into your homes, also avoid unnecessary suffocation, and dust allergies which may happen while dusting. · Remove books, storage accessories, cosmetics, decorative items, household items from the shelves and re-organize them once dusting is done. · Give away unused clothes; throw away the unused cosmetics, cluttered items which accumulate in your dresser drawers. Open it and clean out the closets. · Vacuum the rugs both sides, change the bed linen, if valuable send it to professional cleaning. · Spray fabric freshener to your bed mattress and room freshener to give that satisfactory and fresh feel to your cleaned place. · Vacuum every corner of the kitchen cabinet, refrigerator coil, stove vents and corners. Dispense unnecessary jars, bottles and stacked unwanted food items. · Use gloves while cleaning the steel, removing hard stains in the kitchen. · Clean your refrigerator shelves, dispense unused jars, remove the longtime stains happened due to the food items. Use baking soda with water to clean the hard oil stains near the stove. Use some detergent water to clean the inside area of the fridge cabinets and make it clean. · Clean the greased wall tiles, countertops, stove, hob, sink and fittings. Spray some baking in the sink, pour some vinegar, you are ready to wash in few mins to get sink. · Remove cabinet contents before starting to clean cabinets. Wash the cabinet and rearrange the contents back in their place. Throw away any unattended items which you might have brought earlier and never used. · Use floor cleaner to clean the tiles, floor cleaning liquid for hard stains, wipe the floor with clean wet mop. · Scrub the floor with bathroom cleaner and use old brushes to get rid of soap stains. · Mop the tiles with bathroom cleaning liquid; clean the steel holders and mirrors with cleaning solution. · Clean the cupboards and get rid of unwanted beauty products if any there. · Use the grout bush and some cleaning solutions to get the dirt of the grout. 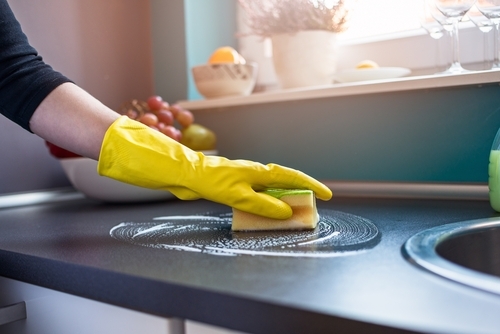 Before you note down the office to do list cleaning and home to do list cleaning, here are some tips to keep yourself and your home safe and hygienic. Plan ahead your cleaning days, make a to-do-list. This is let you know what to buy for cleaning process. Use soft paper towels to clean the delicate areas, mirrors and items to ensure they are no scratches while cleaning. While dusting use extendable feather dusters to reach the room corners, above windows, room corners and door casings. For deep corners use vacuuming. Mopping the floor can be tedious job- use squeeze mechanism mops to make your job easy. Change the bed linen quite often. Make quick small repairs, cover gaps and remove the dents. While cleaning it is always good to wear gloves. After cleaning wash your hands with soap. Keep your hand towels and sanitizer handy. Open your windows wide once in a day to get fresh air circulation. 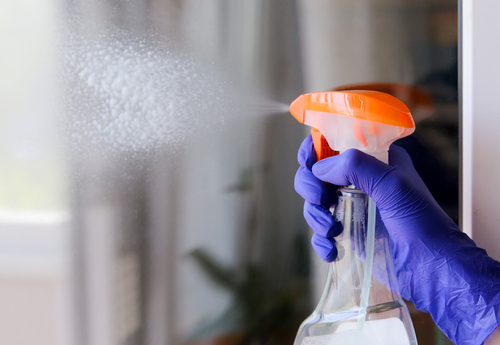 If possible use homemade cleaners to avoid the harmful chemicals available at stores. Try natural cleaning hacks to clean your house. Can try making Scrubs using old soft towels. Use natural stain eliminators like lemon peel, vinegar and baking soda. Some more tips to help your cleaning process better, start doing it religiously and have a clean, safe and happy home. Oven Glass Door - Clean it with lemonade to get the polishing look and wipe it with wet paper. Garbage - Dispose, clean and sanitize your garbage regularly. The Fridge – Clean your fridge once in a week, dispose the old food products clinging to the fridge shelves, clean the glass inside. Kids Toys – Organize your kid’s toys, books, all at one place. Allocate a specific place for your kids to play around and not to scatter it everywhere at your place.